It’s no longer an issue of if, but when the Bank of Canada raises interest rates. 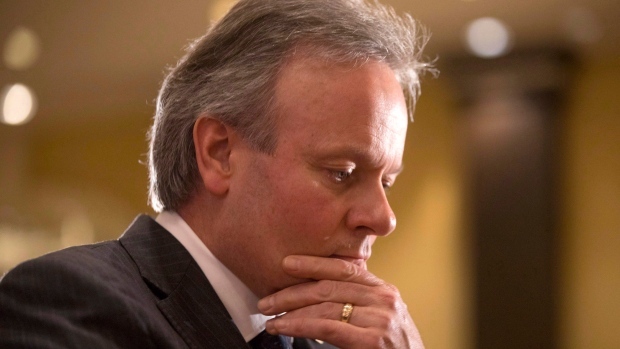 Governor Stephen Poloz heads into a rate decision Wednesday where he’s expected to once again refrain from lifting borrowing costs, even as the economy shows signs of strength and is running up against capacity constraints. It’s a cautious stance driven by a wait-and-see approach to a long list of uncertainties -- everything from NAFTA to the housing market -- rather than any concerns about fundamental economic momentum. After the current pause, which came after three rate increases, most economists are expecting the Bank of Canada will return to a hiking path in July, followed by one more increase at the end of the year. As of late Friday, 21 of 24 economists predict Poloz will hold rates steady, with the rest calling for a quarter-point increase. Investors agree chances of an increase are slim; implied odds of a May 30 rate hike fell to 25 percent last week, from 35 per cent about a month ago. An increase by July and another one by December are almost fully priced in. The Bank of Canada’s announcement will be a shorter one-page statement -- as opposed to the one in July, which will be accompanied by fresh quarterly forecasts and a press conference -- and any new language on trade tensions, the housing market and economic slack will be important clues for assessing a July increase. Trump’s threats this month on the North American Free Trade Agreement and possible tariffs on auto imports from Canada are the latest uncertainties Poloz needs to balance. 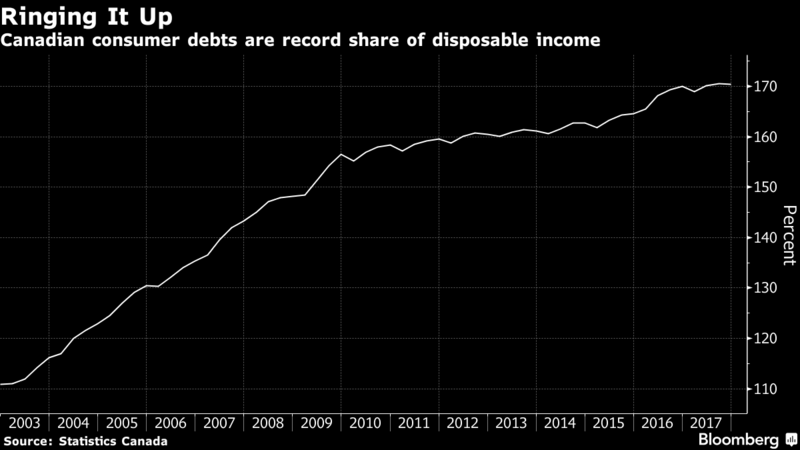 Another lingering headwind is household debt. Poloz devoted a May 1 speech entirely to how consumers are more sensitive to higher rates. Poloz has also been a big advocate of the idea Canada has moved to the “sweet spot” of the business cycle, where companies expand to meet demand and keep the economy at full output without rapid inflation. The Governor has said he has an “obligation” to nurture this process with stimulative borrowing costs. The sweet spot theory is important, because it allows Poloz to reconcile the idea of a cautious policy stance with an economy growing above what is considered its typical non-inflationary speed limit. After a recent soft patch, consensus forecasts show the expansion will accelerate to an annualized pace of at least 2 percent and that should eat further into Canada’s dwindling spare capacity. But the law of economics will eventually prevail, with plenty of signs of a resilient economy that needs higher rates, economists said. Unemployment is at record lows and executives are telling Poloz they remain largely unscathed from policy uncertainty emanating from the Trump administration. Likewise, after five of years of below-target inflation, rising demand has consumer prices poised to meet or beat the bank’s 2 percent goal through the next year. “With inflation at target and the labour market looking like it’s at full health, one rate hike wouldn’t be too much for the economy to handle, especially with growth rebounding,” after the first quarter, said Royce Mendes, a CIBC Capital Markets senior economist in Toronto. He predicts a July increase. The big picture remains one of firm inflation and growth, said Silvana Dimino, an economist at JPMorgan Chase Bank in New York. Canada’s housing is headed for a soft landing and the U.S. has an interest in a striking a NAFTA deal, she said.